No vehicle access to Aquamoves this Sunday - Aquamoves – Indoor and outdoor pools, fitness facilities and programs in Shepparton, Victoria. We are very excited to have a world class event and one of Australia’s great races – the Challenge Shepparton Triathlon Festival, taking place on our doorstep this coming weekend! Please be aware there will be some changes in access to Aquamoves while the Victoria Park Lake precinct plays host to this event and its scores of elite and amateur athletes. The Outdoor 50m Pool will be unavailable to the public from 4.30pm to 5.00pm. There will be no vehicle access to Aquamoves on Sunday 11 November. All Aquamoves members, guests and staff will be required to park outside of the lake precinct and walk into the Aquamoves facility. Please follow the directions of Traffic Marshals and be mindful of the safety of others. Parking within close proximity to Aquamoves will be very difficult throughout the weekend. We can only suggest you leave with plenty of extra time, find the closest park possible and then walk to the centre. All group fitness classes will run as normal this weekend. Please ensure you leave with plenty of extra time so you don’t miss the start of your class. All swimming lessons will run as normal this weekend. Please ensure you leave with plenty of extra time so you don’t miss the start of your lesson. 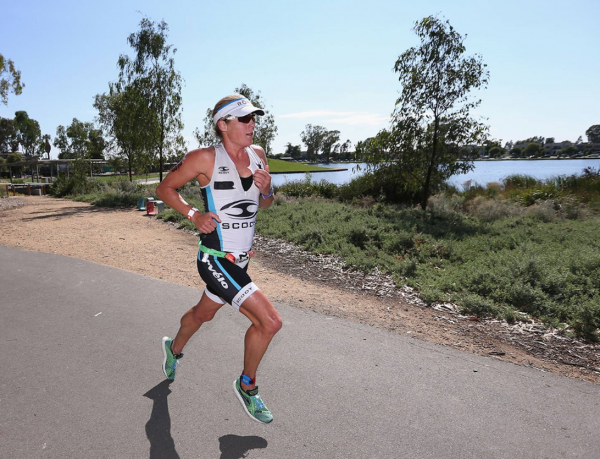 Photo curtesy of Challenge Shepparton.